The Visual Schedule Kit for Time Timer Medium and Large is a great way to create a visual schedule for anyone to follow. Ideal for younger children or any person who benefits from the ability to view pictures of activities instead of numbers. 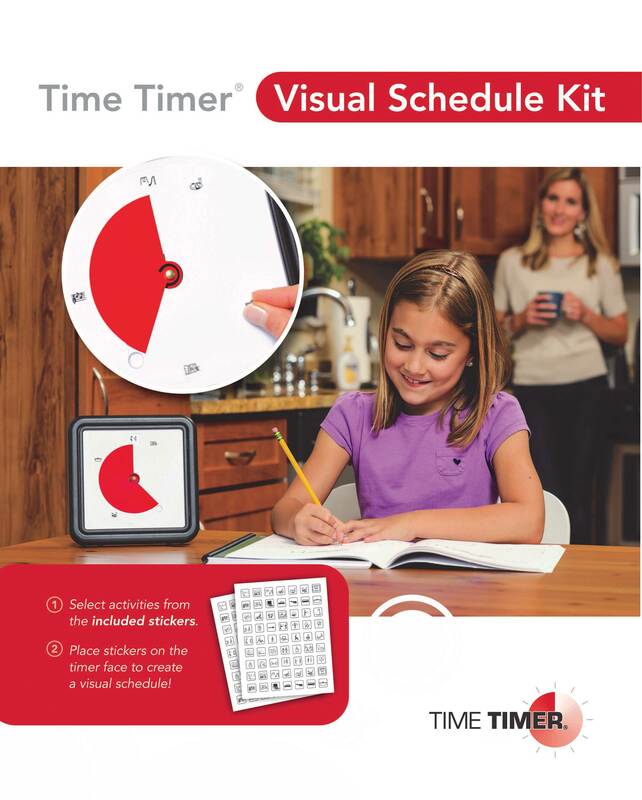 The Visual Schedule Kit was created to help empower individuals to be able to follow a routine without having to remember it, and to independently manage their own activities of daily living. The blank faces and sheets of stickers are also separately available as accessory. A sheet of clear adhesive stickers for the Time Timer Blanks. With these stickers you can divide activities on your Time Timer. The stickers are available with and without text. Perfect for improving an activity. One sheet per package. Available for use with either Time Timer Medium and Large. Recommended for use with Blank Timer Faces. 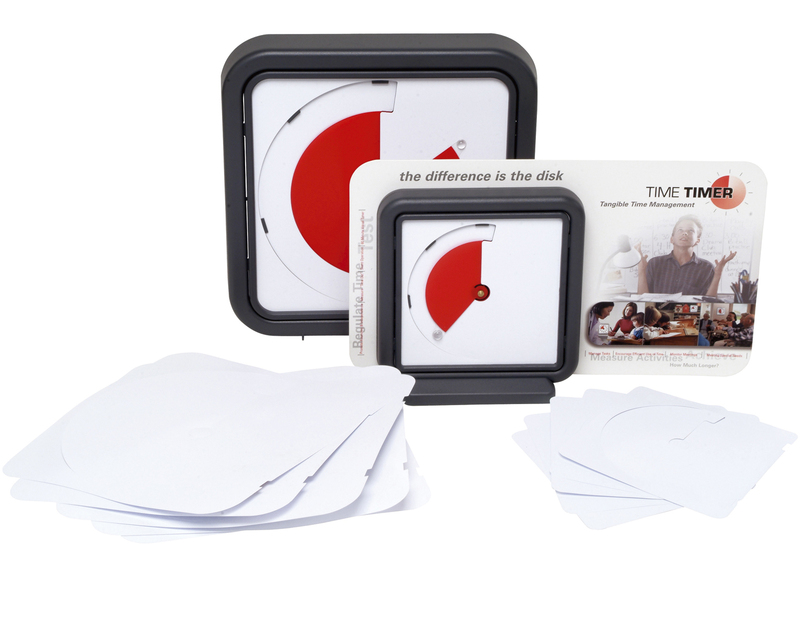 Time Timer Blanks are available for the Time Timer Medium and Large. The plain white face allows the user to customize the Timer with stickers, washable markers, colours, etc. Perfect for specialized therapies, personal schedules, student interaction, young children’s visual perception and more. Recommended for use with Time Timer Stickers. Five (5) blanks per package. Available for Time Timer Medium and Large. Two complete new sets of pictograms in the basic colours green and yellow, which can be used in combination with all our well known Time Timers. 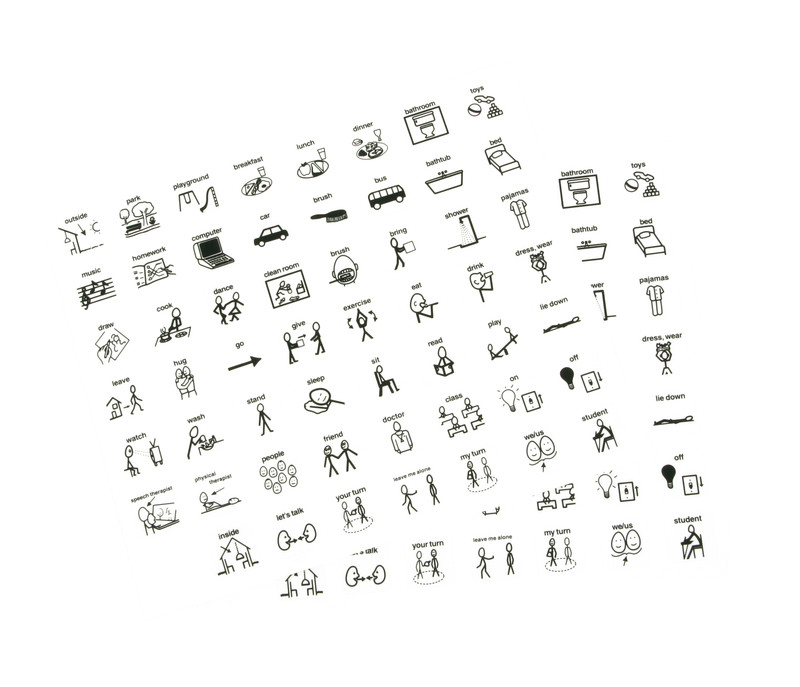 Each pictogram features a single line figure, making the image easy to recognize. These pictograms are suitable for children and adults who have difficulty with planning and organizing their daily tasks, like getting dressed, eating, school time, homework, playtime, etc. Pictograms are most effective when used in conbination with the Time Timer. The pictostand fits on each size Time Timer and is simply taped on top of the device. 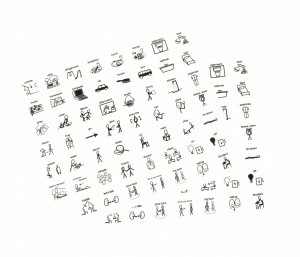 Each set contains: 12 pictograms (5x5cms), 2 pictostands and a storage box. There are two sets of pictograms: a set ‘At home’ and a set ‘At school’. Suitable for each size Time Timer!